This is an original drypoint etching by British artist Edmund Blampied. 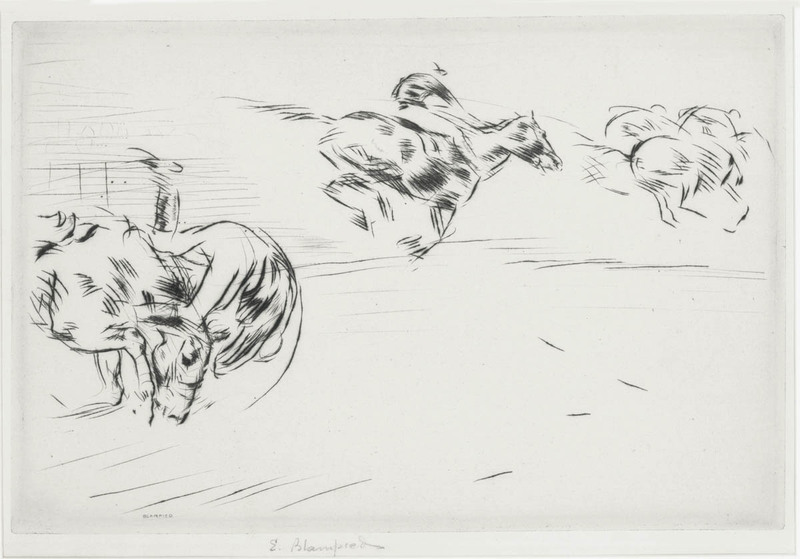 The title of this work is "The Tumble", it was created and printed in 1921 in an edition of 100. The image measures 7 5/8X11 5/8 inches. Rich burr on the Horses. Pencil signed lower border, center. A very expressive image by this well known artist of Jersey. This image appears in the Appleby catalog as image number 148. This is an original painting by American artist Platt Powell Ryder. 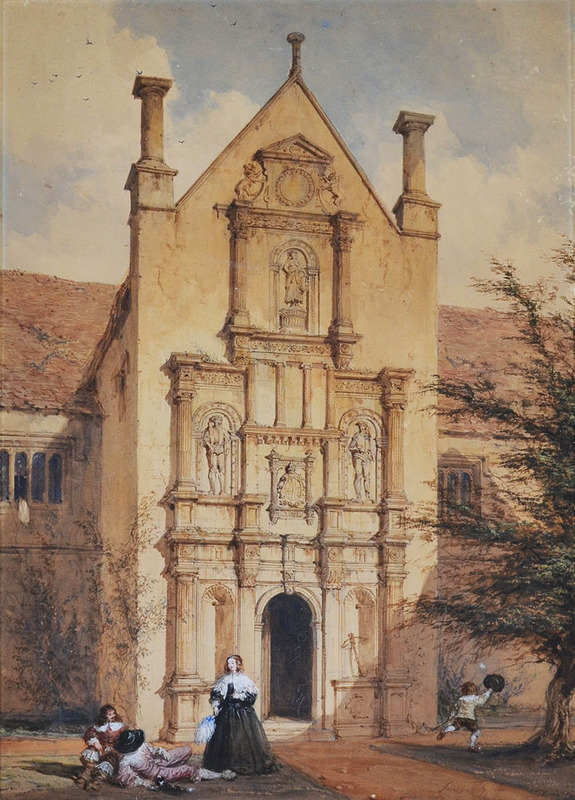 This scene of the Village Market Place was painted circa 1870, signed by Ryder lower right with ANA after his name, when he was an established member of the National Art Academy. The painting is oil on board, framed underglass. 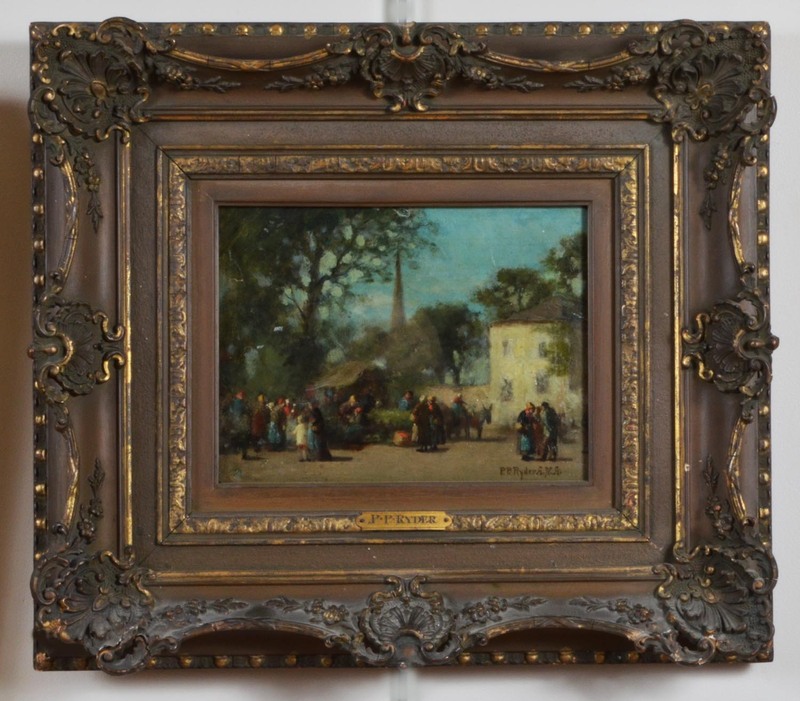 Excellent condition in what appears to be the original 19th century frame. The painting itself measures 7 3/4X10 1/4 inches. The frame itself has some chips to the corners.